The 2010-11 NFL season may still be a few months away, but teams around the league have not been shy about making moves to improve their franchise in preparation for next season. The one team that has made more significant moves than any other NFL franchise this offseason has been the Washington Redskins. Not only did they get a serious upgrade at head coach with future hall of famer Mike Shanahan, but they were also able to bring in a franchise caliber quarterback in six-time Pro Bowler Donovan McNabb. Obviously, the trade to bring in McNabb was controversial to say the least as the Philadelphia Eagles sent a perennial Pro Bowler to a division rival in the Washington Redskins, but it may have been a step in the right direction for both storied NFL franchises moving forward. The wheeling and dealing didn’t stop there for the Redskins as they dealt away their former starting quarterback Jason Campbell to the Oakland Raiders. With McNabb in the lineup in Washington, it was just a matter of time before they sent Campbell elsewhere and the Raiders might be the ideal fit for the promising quarterback. Once the Redskins had a hall of fame caliber quarterback and head coach in place, the team was on the lookout for a veteran wide receiver and Terrell Owens seemed to be the ideal candidate. 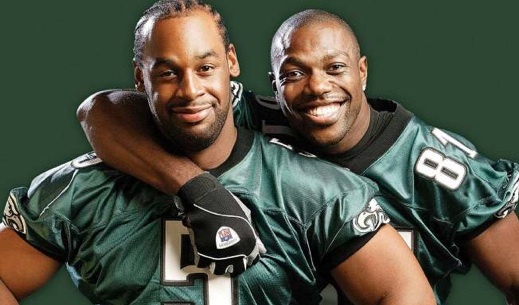 Now it is no secret that Donovan McNabb and Terrell Owens had some bad blood in their time together in Philly, but apparently that feud has been squashed and the two future hall of fame football players are quite fond of each other these days. So for a period of about a month, the biggest rumor flying around the Washington Redskins was that Terrell Owens might be teaming up with Donovan McNabb once again. Despite these rumors seemingly turning into reality, no deal was able to get completed between T.O. and Washington and the NFL superstar wide receiver still remains without a team. Along with the Washington Redskins, there have been plenty of other teams around the league mentioned as Terrell Owens’ next destination, but they have all turned out to be only rumors up to this point. Usually, free agents of T.O’s caliber don’t stay on the open market for very long. Last offseason the Dallas Cowboys gave Owens his walking papers and it didn’t take long for him to sign with the Buffalo Bills, but this time around it has been tough for T.O. as many teams are seeing more cons than pros when considering signing the controversial wideout. The two teams that have been mentioned recently as having some interest in Terrell Owens have been the Carolina Panthers and the Seattle Seahawks, which are teams that are in desperate need of some help in the receiving core. Despite not exactly having the ideal quarterback for Owens’ special needs, the Panthers and Seahawks are trying to find viable second options alongside T.J. Housmanzadeh in Seattle and Steve Smith in North Carolina. It is uncertain how interested these two teams are in signing the free agent wide receiver, but the Carolina Panthers might be the team more inclined to sign T.O. after the recent arm injury of Steve Smith.